If you're in law school, perhaps you've seen other students show up to class in unnecessarily professional clothes -- as if they just landed a great internship, or even a real job. Kudos to them for getting out there and making connections, but if you want to be one of them, you're going to have to develop yourself and your style. Here are a few tips that law students shouldn't overlook in today's increasingly competitive market for lawyers. First things first: you must network. Besides business school, no other educational experience relies on good networking than law school. Everybody knows it, but sometimes its about who you know, rather than who you are. 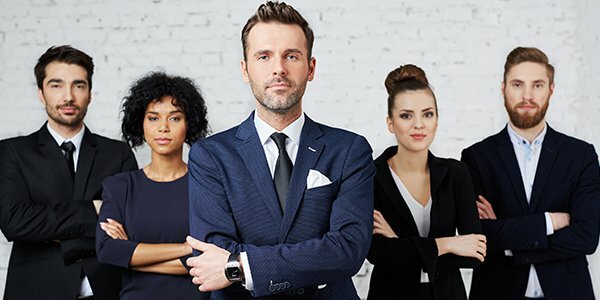 Get used to the ugly truth -- a law student's position professionally depends a lot on knowing the right people at the right time. If you get good grades, you're more likely to know those right people. But if you actively seek out successful lawyers, you'll only be helping yourself. This should go without saying, but many law students and lawyers get ruined by their own social media carelessness. With social media as pervasive as it is, there really is no deniability any more. Many of the lawyers you'll encounter have at least one piece of sordid history in their past, but they had the benefit of attending law school during an age where cell phones were a rarity. They'd like to believe that they're somehow better than today's nascent lawyers, but the reality is that today, prying eyes are everywhere. The fiction that the law is somehow devoid of people who make dumb mistakes is one that pervades as part of tradition. Don't fight it, just be careful. This one tends to overlaps with keeping your social media clean. The most fruitful of professional growth encounters are usually done over alcohol. When people are drinking, they tend to loosen up, say things they wouldn't normally say, make offers they wouldn't normally offer -- like job opportunities. Being tipsy makes you enjoyable and agreeable. But if you cross the line and end up drunk, you become a potential liability. Watch your booze. Finding a job opportunity is a lot like dating. Persistent can be good. Being needy is a turn-off. Again, this is not fair because some people just have naturally magnetic qualities and they have a leg-up. But you're working to be a lawyer and you know the world isn't fair. If you have an opportunity you're really angling for, make sure you make it clear that you want the job. But whining for the job, or begging for the job can hurt you more than you can know. It's a fine line. Not everyone can be in the top quintile of the class, but there are ways you can make up for this shortfall. One way is experience. Many of you know that when you're looking for a job, simply having enough experience opens up doors. Your summer internships will be only about three month's worth of experience, but taken over the course of three years of law school, that's significant. That's basically almost a year of practical experience. Make sure you note that prominently on your resume and highlight what you did in those positions.